Another government department that I am very familiar with is the Samoa Land Corporation. The Minister Liuga: I just want to honour God in everything I do! Samoa Land Corporation: Lennie is just a bitter, bitter, BITTER man! Siva Afi: They are corrupt to the core, downright evil in what they did! Olinda Woodroofe – Lawyer: We will fight them and win! The Prime Minister: Please just pay the account and bury the whole matter! Passions ran high in all corners. Well it took a while and a lawyer not too frightened to fight the Samoan Government – right through to appeal too – but it eventually all came out. Siva Afi: 1 . . . All the rest: 0 with egg on face. It turned out that Siva Afi were maltreated badly by SLC and the Minister. Lennie clearly had every reason to be bitter . . . very bitter. SLC’s arrogance to simply bulldoze Siva Afi’s business (literally) and trash their equipment in the process so that they could build a new Chinese building downtown, despite a perfectly legal lease was astounding. In essence the Corruption worked like this . . . The Government wanted them gone. They couldn’t agree on an agreeable payout/settlement. The Minister changed the law to kick ’em out and did, then refused reasonable compensation, then fought them in court, time after time after time and finally lost. The aggrieved couple may have got a payout, but the government corruption caused untold pain for several years. 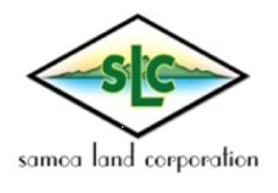 We commenced a lease with SLC in 2011 for 5 acres of government administered land in East Aleisa. This land has been the base for SWAP activities. We have a centre for Voluntourism and a developing cross-cultural community under the marketing name Camp Samoa. SLC’s manager of lands gave a succinct example of Corruption in the form of racism when I first sought land to lease. We were in a difficult situation as a result of adverse events in Satapuala so I approached SLC and asked for land to lease. The colour of my skin yet again distancing me to ‘special treatment’ – this time past the end of the queue! “Don’t bother applying Palagi man!” was the clear message. To cut a long story short, SLC did eventually allocate 5 acres to SWAP but this was done over the head of this corrupt racist official by people who didn’t have quite the same racist attitude and who could see that we were doing good things for Samoa. The matter didn’t end there for the bitterness and resentment from this individual remained and intensified over the following years to the extent that she has been a constant source of troublemaking and ill-will to this date. SLC is a government organisation that has highly questionable ethics going back years. In the period 2010 onwards land was being sold at a discount to SLC staff, the General manager herself obtained land at highly discounted rates for her own benefit. How she’s still there can be explained through understanding the protection that the PM affords to those he wants to protect. His power in this regard is enormous, and appears to be invincible, even though well exposed by the Media for what it is – nepotism at best, and in many ways seen as outright corruption. Audits have also highlighted other highly questionable and illegal conduct within SLC AND for multiple years! The department by the auditors’ own report is seriously corrupt. The result of the audit was essentially, no change. The same people are still there no doubt doing the same things! All the ten acre blocks of land surrounding SWAP lease are leased by senior members of the government, CEOs and Ministers of a decade ago when the land became available. Call this corruption, nepotism or opportunism, giving the ‘nod’ to others in power is the norm in Samoa. Following publication of the audit reports that slammed SLC’s corruption, SLC undertook to clean up its debt collection processes and commenced an aggressive campaign to collect and/or evict people with arrears. People found themselves without homes, evicted. In many ways this was long overdue and a welcome kick up the behind for those who took advantage of SLC’s incompetence but . . . The land that the SWAP Foundation leases is 5 acres, cut from a ten acre block that was originally leased by Minister of the Crown, Tuisuga. The other 5 acres however has remained to even this day untouched, vacant land and in the Minister’s own words to me, “Yes I know we have some resourcing issues”. He hasn’t and very likely won’t be paying a cent for it, while others less privileged are losing their leases all over Samoa. The arrears will be most likely written off and disappear, even if something has recently happened with the vacant land. Word on the street is that the new Minister of Lands now has it! Little surprise if that is true for self-interest and corruption abound, especially in the area of land. There’s a lot more that can be said of the Samoa Land Corporation’s conduct in regards to the SWAP Foundation lease . . . failures in due process, excessive aggression, personal agendas and more but I can only share these details when the pending court action has been completed. 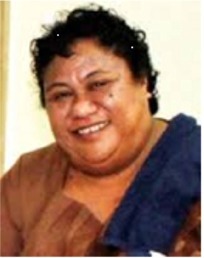 That’s the face of Corruption in Samoa, typical of all abuses of power the world over. Greed, self-interest and the little people missing out as the elite take what they want, how they want and when they want. Who would dare take on The Powers That Be? The Israel that was universally admired disappeared long ago.